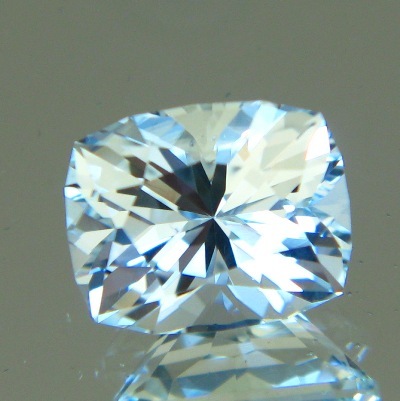 Comment: My personal favourite from this hunt (so far): blazing fancy blue topaz in an exquisite precision-cut combining cushion shape with adamantine brilliancy. The main image perfectly captured the lucid crystal glittering even in the near darkness. Not a single inclusions under the lens and the most critical eye. 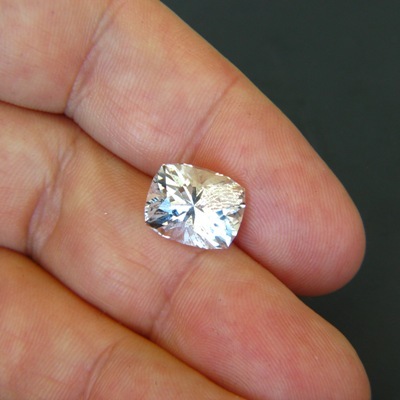 Mined, facetted and certified by the very best in the world: a super natural blue topaz. AGL certified untreated. The only problem about this very best parcel of Topaz is that one can't find anything negative to report and their grading reads like so many on the web in which every single stone even the most ugly mishaps, are all 'stunning' and 'breathtakingly beautiful'. Yet, they really are immaculate pieces of human craft, art and, above all, nature; and so much loving work has gone into each and every piece, from finding the rough, cutting a hundred perfect facets to, finally, writing these lines.